For the geological term, see Country rock (geology). Rock and roll has usually been seen as a combination of rhythm and blues and country music, a fusion particularly evident in 1950s rockabilly. There has also been cross-pollination throughout the history of both genres; however, the term “country-rock” is used generally to refer to the wave of rock musicians of the late 1960s and early 1970s who began recording rock songs with country themes, vocal styles, and additional instrumentation, most characteristically pedal steel guitars. John Einarson states, that "[f]rom a variety of perspectives and motivations, these musicians either played rock & roll attitude, or added a country feel to rock, or folk, or bluegrass, there was no formula". Country influences can be heard on rock records through the 1960s, including the Beatles' 1964 recordings "I'll Cry Instead", "Baby's in Black" and "I Don't Want to Spoil the Party", the Byrds' 1965 cover version of Porter Wagoner's "Satisfied Mind", on the Rolling Stones "High and Dry" (1966), as well as Buffalo Springfield's "Go and Say Goodbye" (1966) and "Kind Woman" (1968). According to The Encyclopedia of Country Music, the Beatles' "I Don't Want to Spoil the Party", their cover of the Buck Owens country hit "Act Naturally" and their 1965 album Rubber Soul can all be seen "with hindsight" as examples of country rock. In 1966, as many rock artists moved increasingly towards expansive and experimental psychedelia, Bob Dylan spearheaded the back-to-basics roots revival when he went to Nashville to record the album Blonde on Blonde, using notable local musicians like Charlie McCoy. This, and the subsequent more clearly country-influenced albums, John Wesley Harding (1967) and Nashville Skyline (1969), have been seen as creating the genre of country folk, a route pursued by a number of, largely acoustic, folk musicians. Dylan's lead was also followed by the Byrds, who were joined by Gram Parsons in 1968. Parsons had mixed country with rock, blues and folk to create what he called "Cosmic American Music". Earlier in the year Parsons had released Safe at Home (although the principal recording for the album had taken place in mid-1967) with the International Submarine Band, which made extensive use of pedal steel and is seen by some as the first true country-rock album. The result of Parsons' brief tenure in the Byrds was Sweetheart of the Rodeo (1968), generally considered one of the finest and most influential recordings in the genre. The Byrds continued for a brief period in the same vein, but Parsons left soon after the album was released to be joined by another ex-Byrds member Chris Hillman in forming the Flying Burrito Brothers. Over the next two years they recorded the albums The Gilded Palace of Sin (1969) and Burrito Deluxe (1970), which helped establish the respectability and parameters of the genre, before Parsons departed to pursue a solo career. Country rock was a particularly popular style in the California music scene of the late 1960s, and was adopted by bands including Hearts and Flowers, Poco (formed by Richie Furay and Jim Messina, formerly of the Buffalo Springfield) and New Riders of the Purple Sage. Some folk-rockers followed the Byrds into the genre, among them the Beau Brummels and the Nitty Gritty Dirt Band. A number of performers also enjoyed a renaissance by adopting country sounds, including: the Beatles, who re-explored elements of country in their later albums, like "Rocky Raccoon" and "Don't Pass Me By" from their eponymous "White Album" (1968), and "Octopus's Garden" from Abbey Road (1969); the Everly Brothers, whose Roots album (1968) is usually considered some of their finest work; former teen idol Ricky Nelson who became the frontman for the Stone Canyon Band; John Fogerty, who left Creedence Clearwater Revival behind for the country sounds of the Blue Ridge Rangers(1972); Mike Nesmith, who had experimented with country sounds while with the Monkees, formed the First National Band; and Neil Young who moved in and out of the genre throughout his career. One of the few acts to successfully move from the country side towards rock were the bluegrass band the Dillards. 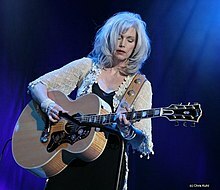 The greatest commercial success for country rock came in the 1970s, with the Doobie Brothers mixing in elements of R&B, Emmylou Harris (a former backing singer for Parsons) becoming the "Queen of country-rock" and Linda Ronstadt creating a highly successful pop-oriented brand of the genre. Pure Prairie League, formed in Ohio in 1969 by Craig Fuller, had both critical and commercial success with 5 straight Top 40 LP releases, including Bustin' Out (1972), acclaimed by Allmusic critic Richard Foss as "an album that is unequaled in country-rock" and Two Lane Highway, described by Rolling Stone as "a worthy companion to the likes of the Byrds' Sweetheart of the Rodeo and other gems of the genre". Former members of Ronstadt's backing band went on to form the Eagles (two members of band were from the Flying Burrito Brothers and Poco), who emerged as one of the most successful rock acts of all time, producing albums that included Desperado (1973) and Hotel California (1976). However, the principal country rock influence in the Eagles came from Bernie Leadon of the Flying Burrito Brothers, and little country influence was left in the band after he left in late 1975. The Ozark Mountain Daredevils had hit singles “If You Wanna Get To Heaven” (1974) and "Jackie Blue" (1975), the latter of which peaked at #3 on the Billboard Hot 100 in 1975. The Belammy Brothers had the hit "Let Your Love Flow"(1976). In 1979, the Southern rock Charlie Daniels Band moved to a more country direction, released a song with strong bluegrass influence, "The Devil Went Down to Georgia", and the song crossed over and became a hit on the pop chart. Outside its handful of stars, country rock's greatest significance was on artists in other genres, including the Band, Grateful Dead, Creedence Clearwater Revival, the Rolling Stones and George Harrison's solo work. It also played a part in the development of Southern rock, which, although largely derived from blues rock, had a distinct southern lilt, and it paved the way for parts of the alternative country movement. The genre declined in popularity in the late 1970s, but some established artists, including Neil Young, have continued to record country-tinged rock into the twenty-first century. Country rock has survived as a cult force in Texas, where acts including the Flatlanders, Joe Ely, Butch Hancock, Jimmie Dale Gilmore and California-based Richard Brooker, have collaborated and recorded. Other performers have produced occasional recordings in the genre, including Elvis Costello's Almost Blue (1981) and the Robert Plant and Alison Krauss collaboration Raising Sand, which was one of the most commercially successful albums of 2007. ^ a b c d e f g h i j k l m n o V. Bogdanov, C. Woodstra and S. T. Erlewine, All music guide to rock: the definitive guide to rock, pop, and soul (Backbeat Books, 3rd edn., 2002), p. 1327. ^ B. Horner and T. Swiss, Key terms in popular music and culture (Wiley-Blackwell, 1999), p. 104. ^ J. Einarson, Desperados: The Roots of Country Rock (Rowman & Littlefield, 2001), ISBN 0815410654, p. 1. ^ Leggett, Steve. "Gram Parsons Archive, Vol. 1: Live at the Avalon Ballroom 1969 review". Allmusic. Retrieved 21 March 2010. ^ "The Beatles [White Album] - The Beatles - Songs, Reviews, Credits". AllMusic. Retrieved 23 December 2017. ^ "Octopus's Garden - The Beatles - Song Info". AllMusic. Retrieved 23 December 2017. ^ J. Dougan, "Blue Ridge Rangers: Biography", Allmusic, retrieved 9 April 2011. ^ Andrew Sandoval, The Monkees: The Day by Day Story of the '60s Pop Sensation (Thunder Bay Press, 2005), p. 118. 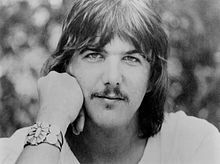 ^ W. Ruhlmann, "Pure Prairie League: Biography", Allmusic, retrieved 8 April 2011. ^ R. Foss, "Bustin' Out Pure Prairie League: Review", Allmusic, archived from the original on 9 April 2011 . ^ Rolling Stone #194 August 28, 1975. ^ "Charlie Daniels - News, New Music, Songs, and Videos - CMT". Cmt.com. Retrieved 23 December 2017. ^ P. Buckley, The Rough Guide to Rock (Rough Guides, 3rd edn., 2003), pp. 145-6. ^ "The Top 50 Albums of 2007". Rolling Stone. December 17, 2007. Retrieved December 20, 2007.